This product offers four types of output interface and two types of frequency to choose from. Software is adjustable for users to set up various data rate. Products with the same frequency and same version of firmware are able to communicate with one to another. Works at frequency between 902MHz and 928MHz (FCC), output power 0.5W, ultra high receiver sensitivity at -126dBm and built-in antenna. RS232 interface makes it easy to connect PC and those facilities with RS232 interfaces in wireless data transmission. Adjustable to internal parameter through software ensures to minimize interference to close frequency and suits the need for various data communication. 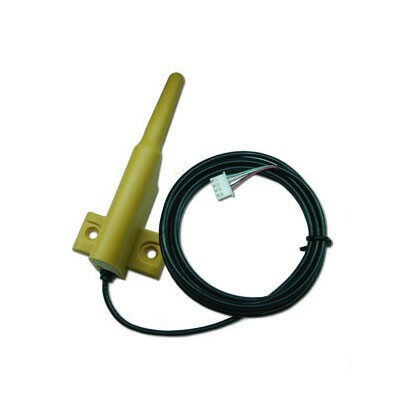 This product features wireless data transmission which offers the best solution to replacing wire/cord transmission as it is difficult to achieve long distance transmission. Indoor data transmission in urban area reaches around 700M, and the straight line of sight distance reaches up to 2KM. Relay transmission could be set in order to achieve data transmission remotely.